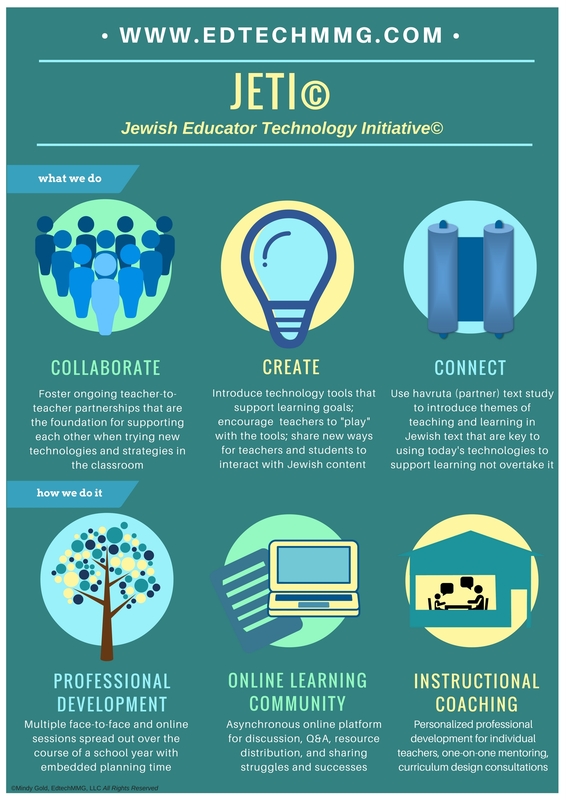 ​The Jewish Educator Technology Initiative (JETI)© provides ongoing professional development for congregational school educators in the use of technology tools in order to engage 21st century learners. JETI© is grounded in Jewish text, models the use of various technology tools to be used in the classroom, and builds a community of learners through ongoing face-to-face and online instructional coaching. ownership. Her leadership creates the path for that collaboration."